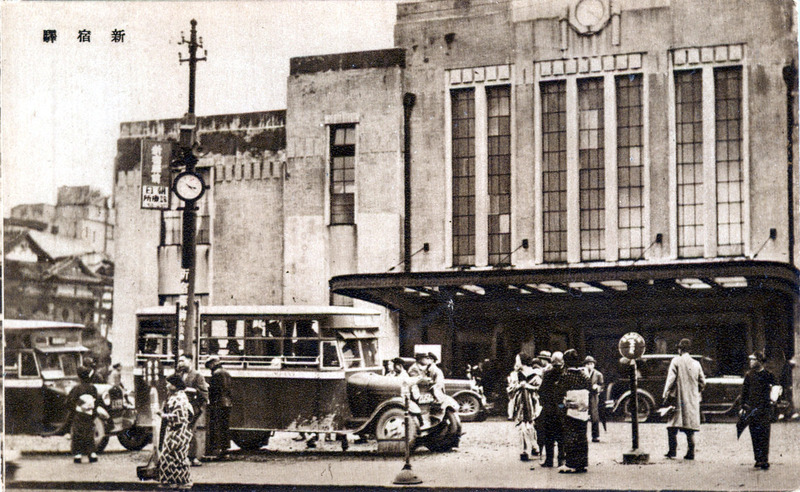 Shinjuku Station, east entrance, c. 1930. “‘Shinjuku Sketch’ (Shinjuku sukechi) was published in the April 1929 Kaizo … and begins with a depiction of the exterior of the station, and much of this short work is devoted to the appearance of this terminal and its crowds. The station is seen as if standing in front and from below, but at a slight distance, and the perspective is that of a movie camera than that that of a member of a tour. 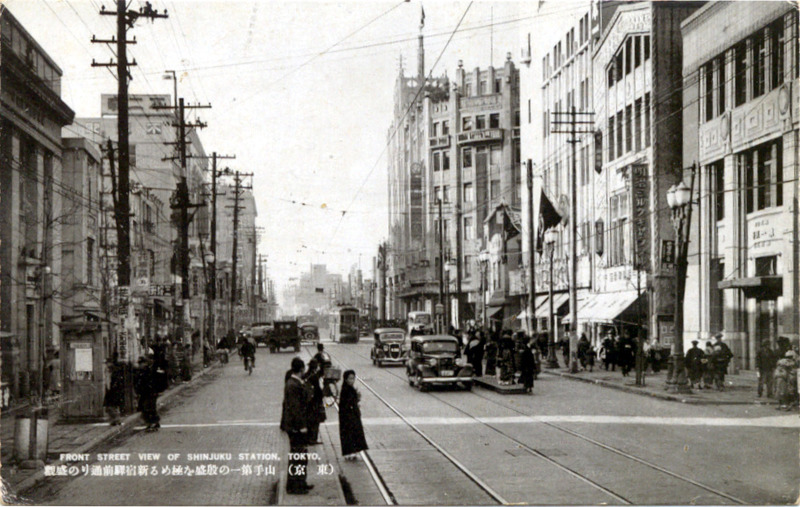 “Front Street View of Shinjuku Station.” The street view from the station entrance, looking east down Shinjuku-dori, c. 1935.